The Cornelius Harnett and William Sharpe letter (S0593) was received by Rare Books and Manuscripts as a donation from Guy Morrison Walker on June 2, 1919. 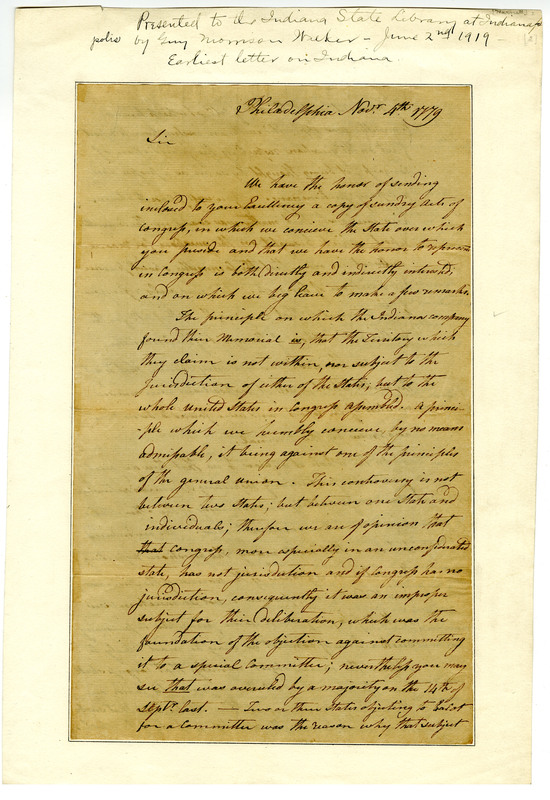 The letter was sent to North Carolina Governor Richard Caswell by Harnett and Sharpe while they served in the Continental Congress during the United States Revolutionary War. Dated November 4, 1779, Harnett and Sharpe relay information about a petition presented to Congress by the Indiana Land Company regarding land claims. 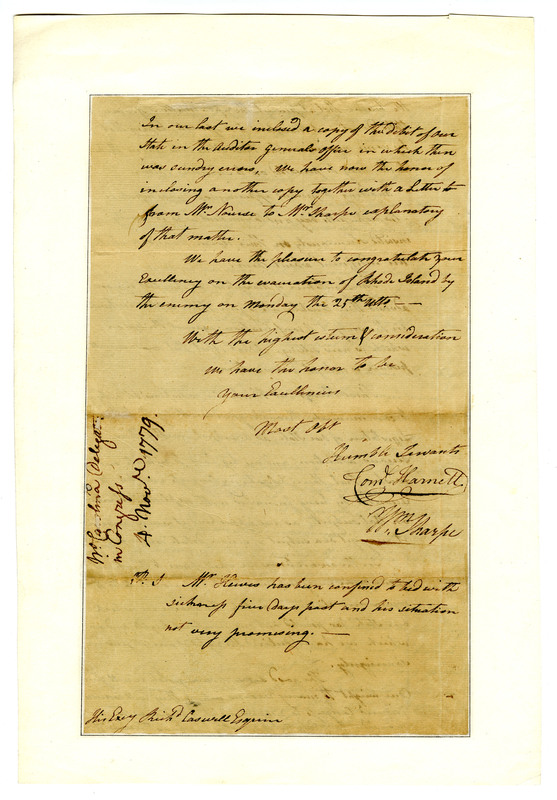 There had been a dispute between shareholders of the Indiana Land Company and Virginia as to who had the legal right to sell land located along the Ohio River. 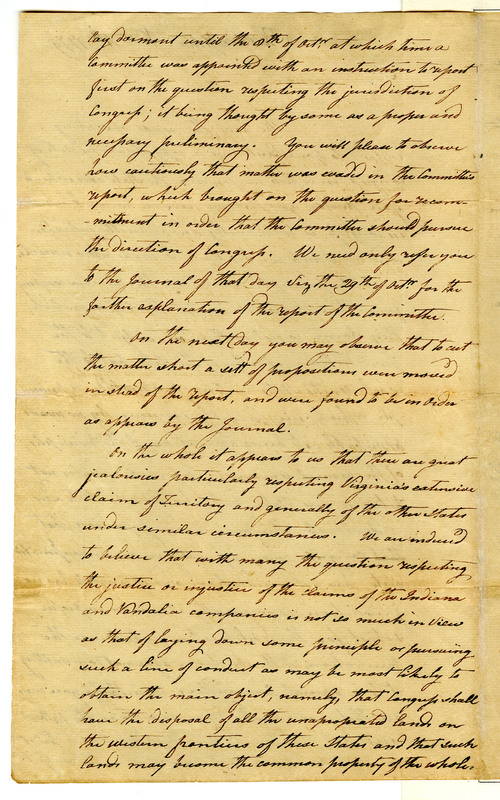 The Indiana Land Company’s petition asserted Congress had jurisdiction over the land but Virginia claimed it had jurisdiction and North Carolina supported Virginia’s claim. For more information about the controversy, visit the Indiana Historical Bureau’s “The Naming of Indiana” page. 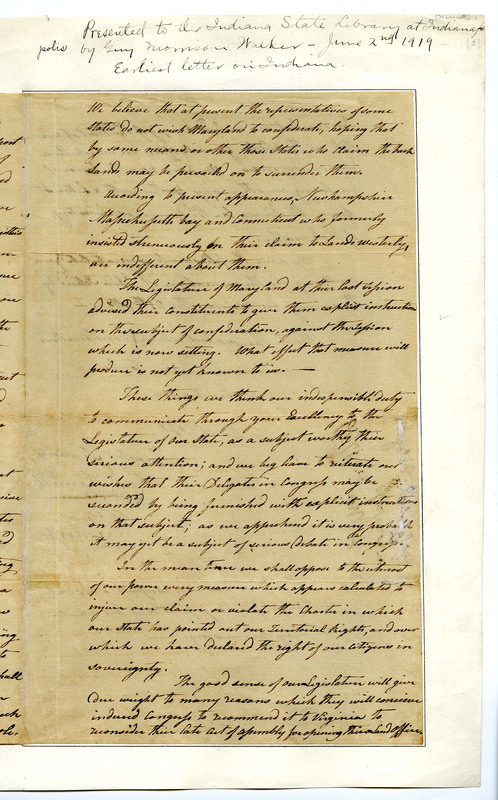 This historical document is in the process of being digitized and transcribed and will be available via the Indiana State Library Digital Collections page. To read more about proposed borders in early Virginia region history, including Vandalia, visit the West Virginia Division of Culture and History’s website.